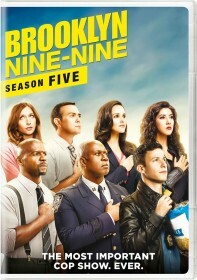 FOX has issued the press release for the November 14 episode of Brooklyn Nine-Nine, "Return to Skyfire". When Terry's favorite author, DC Parlov (guest star Fred Melamed), returns to the precinct because his latest manuscript was stolen, Terry and Jake convince Rosa to go undercover with them at a fantasy fiction convention to find the culprit. As drama ensues between Parlov and another writer (guest star Rob Huebel), Terry admits that he's been writing a book of his own. Back at the precinct, Holt, Amy and Charles take a forensics course, but Charles' big mouth gets him in trouble in the all-new "Return to Skyfire" episode of BROOKLYN NINE-NINE airing Tuesday, Nov. 14 (9:30-10:00 PM ET/PT) on FOX.